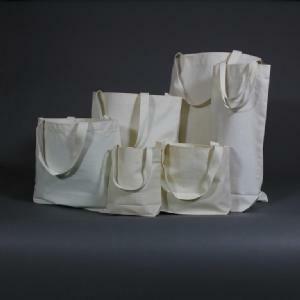 Our cloth tote bags are made from high quality 100% cotton material (unless you request a different material) in a natural color with matching stitching and handles. 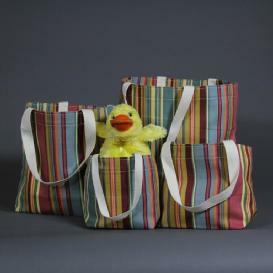 We can accomodate other choices of handles and material colors for the bags too. Drop Height: the highest point of the handle measured in a vertical line to the top rim of the bag. Handle Length: Measurement of the handle from the handle attachment on the right side of the bag to the handle attachment on the left side of the bag. Gusset: How deep or wide the bag is at the bottom. Imprint Area: Allowable area on a bag that can be printed or decorated. If the exact size you need is not in the stock section, we are happy to create a custom sized tote for your needs. We can even change the drop height or length of the handles. And adding your logo is no problem - what a great way to advertise your shop or event.The best news is they are Made in the USA!